When you think of oranges, a host of beneficial properties come to mind. However, the peel is an often-overlooked aspect of this nutritious fruit. Historically, orange peels were highly valued and used for their essential oils in a variety of medicines and remedies. They are still in regular consumption (mainly as a zest) as part of the Mediterranean diet. Considering this diet is credited with numerous healthy benefits, they may be onto something when it comes to eating orange peels. In fact, the peel can contain as much as four times the fiber of the actual fruit as well as more flavonoids. The limonene and flavonoids found in orange peel seem to have anti-carcinogenic properties by acting as a blocking agent. Studies have shown that limonin and limonene, both found in high concentrations in the peel, can induce the enzyme activity of glutathione S-transferase, which is an important detoxifying enzyme. Also, limonene is also one of nature’s great solvents helping to carry waste out of cells as well as nutrients into them--which is one of the reason that Jon Barron uses it in most of his liquid formulas. The citric acid found in orange peels also helps starve cancer cells by cutting off their energy supply. A number of studies have shown decreased risk of several cancers, most notably skin, breast and colon cancer, linked with the increased consumption of orange peels. In addition, orange peels and orange peel extract can provide an extra benefit to diabetics and those looking to reduce overeating. This is due to the fact that orange peels are a natural source of pectin, a natural fiber that helps decrease the rise in blood sugar after a meal. It may also be helpful in lowering cholesterol. In a May 2004 "Journal of Agricultural and Food Chemistry" article, Canadian researchers and the United States Department of Agriculture reported that isolated compounds from orange and tangerine peels showed promise as a natural alternative for reducing LDL cholesterol without the side effects of mainstream cholesterol drugs. D-limonene, the biochemical found in orange peels that we mentioned earlier, is helpful in dissolving kidney stones. In fact, the use of D-limonene mixed together with concentrated, unsweetened cranberry juice or capsules has a proven track record in dissolving kidney stones. In addition, orange peel has antiseptic, bactericidal, and fungicidal properties, which are extremely beneficial in eliminating any kidney or urinary tract infections. This is why you’ll find orange peels as an ingredient in Jon Barron’s kidney, gallbladder, and pancreas optimization formula, KGP Flush. Orange peels may also help with heartburn. According to a 2007 “Alternative Medicine Review” article by Jidong Sun, Ph.D., Sun, d-limonene possesses the ability to neutralize gastric acid and support normal peristalsis. Allergy sufferers may benefit from consuming more orange peels as well, as the peel contains natural histamine suppressing compounds. Orange peels also play a role in lung cleansing by helping break down and expel congestion. Most people aren’t going to start eating orange peels because they are so bitter. One method of getting the nutritious value of this fruit, however, is using the peels to make orange zest and adding the zest to foods and beverages. Making zest is simple. Just grate an orange rind with a grater or zesting tool. One caveat, however, is that in some studies, high concentrations of pesticides have been found in orange peels. An obvious alternative is to only consume the peels of organically grown and processed oranges, where chemical pesticides or herbicides would not have been used on the peel. Another option is to add organic food grade limonene oil or orange peel extract to liquid supplements. 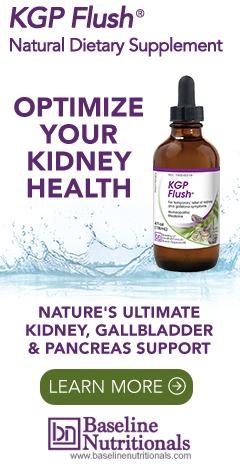 For a deeper look at natural kidney care, click here. So I quit taking Lipitor . OK so if your cholesterol is 160 for any reason you shouldn't take Lipitor. But if you were taking Lipitor while you were also eating Orange Peel then I can't see why you'd attribute the changes to the peel instead of the drug. I'm a big fan of herbal medicine but that seems illogical even to me. Hey if you like peels, eat them, why do you need a BIG REASON? It's food, enjoy it. CHECK OUT CITRUS BERGAMOT FOR LOWERING BAD, RAISING GOOD CHOLESTROL PLUS TRIGLYCERIDES; HOW ABOUT A GREAT JON BARRON TRANSMITTAL CONCERNING ITS BENEFITS? If you want to eat citrus fruit peels, do it the Mediterranean way. They make a preserve from wild orange peels. Do I need to eat the whole peel including the white of th peel? How much daily? Yes, very definitely you always want to eat the white-pulp of the citrus whenever you can. It is a potent source of bio-flavonoids that strongly benefit one's gums (optimal tooth/gum adhesion), eyes, skin integrity, and the lining of the cardiovascular cell-walls. I MAKE TEA OUT OF THEM AND ADD ORGANIC HONEY IF THEY ARE TOO BITTER OR MIX THEM WITH OTHER THINGS (BUT YOU DO GET USED TO THE TASTE). I USE THEM FRESH AND WITH ANY EXTRT I DRY THEM THOROUGHLY IN THE SUN IF POSSIBLE. BUT MY MAIN QUESTION IS, DO YOU GET THE SAME OR AT LEAST SIMILAR BENEFITS THIS WAY AS WITH THE EXTRACTS AND LIMONENE? Any farmer should know if the fruit they grow is certified organic. You can ask for their certification. You can buy dried, ground organic orange peel in bulk, Frontier Spice, also lemon peel. Mixed in some water, with the juice of one fresh lemon. Things I noticed: The change in my skin is a big WOW factor. Lines and wrinkles started minimizing and skin along my jaw line started tightening. Works like a fiber supplement. Makes things nice and easy in the morning. And really at first through out the day even. Not in a bad way, but just more elimination. Thins the blood. So if you are on blood thinners, this is NOT for you. You ought to ween off of those and get on this instead. My heart is VERY happy since being on the orange peels. Helps with edema. I have kidney issues, and this is the real reason I am taking it. I also take grape skin and grape seed, which I found in bulk, and take that with my powdered orange peel. I'm hoping that because of the flavanoids in orange peel that reduce oxidative stress that it may heal my kidneys, along with the grape skin/seeds and dietary changes. At first it exaccerbated the edema. I think this was because I was detoxing faster than my kidneys could keep up. Took a few days off and started again and it's MUCH better now. This has reduced the foam in my urine. I'm going to keep taking this.